August has been the bloodiest month this year for civilians in Yemen with 981 innocent people killed or injured, including over 300 children. Almost half of these casualties, including 131 children, were wounded or lost their lives in the first nine days of August alone, according to the UN’s civilian impact monitoring department. These reports, gleaned from open sources, are not likely to have captured all civilian casualties and make for sickening reading: 16 fishermen killed and four missing following an airstrike, a woman killed by sniper fire, two children killed by cluster bombs; schools, homes, farms attacked and many more instances of innocent families hit. The devastating numbers are due to warring parties’ reckless disregard for civilian lives and the failure of their political backers to offer any action to prevent the carnage, Oxfam said today, ahead of Yemen peace talks in Geneva. According to the UN between 26 March 2015 and 9 August 2018 there were a total of 17,062 civilian casualties in Yemen. The majority of these casualties, 10,471, were as a result of Saudi-led coalition airstrikes. “As parents across the island of Ireland began to think about back-to-school and buying uniforms in August, the parents of hundreds of children in Yemen buried their beloved sons and daughters, recklessly killed in a conflict that is destroying the lives of millions of Yemenis. 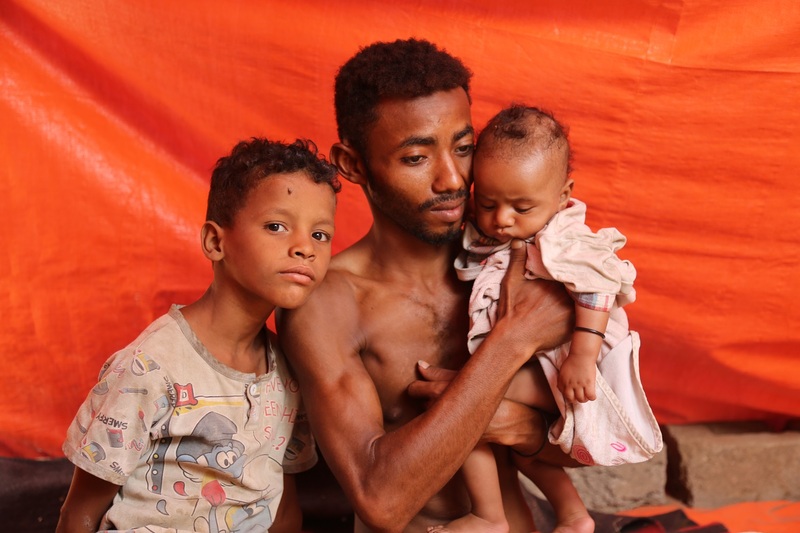 “Yemen is now a free-fire zone where people gathering for weddings, burying their loved ones or going to market are risking their lives every day. The suffering of the people of Yemen is an affront to our shared humanity and a failure of powerful countries to uphold any sense of the values they are fond of espousing. “It is a shameful chapter of diplomatic double speak, underhand dealings and downright hypocrisy. All warring parties have committed, and continue to commit, violations of the rules of war. The perpetrators and those who are actively involved need to be brought to account and the Irish and UK governments can play their part by continuing to press for international action to end the conflict. Despite assurances that there was a ‘pause’ in the fighting around the port city of Hudaydah the beginning of August saw deadly mortar attacks on a busy market killing 41 civilians, including six children and four women, and injuring another 111 civilians. There was also a mortar attack on a hospital in the city causing many civilian casualties. Aid agencies are finding it difficult to help people because of the fighting and blocked roads. Damage to water and sanitation infrastructure in Hudaydah and other parts of the country is denying thousands of people access to water, and increasing the threat of a third cholera wave. Oxfam has been in Yemen since 1983. Since 2015, Oxfam has reached more than 2.8 million people in nine governorates of Yemen, providing water and sanitation services – including as part of a cholera response to prevent and contain the disease. Oxfam is also trucking water as well as providing cash assistance and food vouchers. The figures collated by the UN’s civilian impact monitoring department come from open sources and have not been verified. They are collected on a daily basis and shared with UN agencies and NGOs. A recent joint UN Development Programme Early Recovery Assessment showed how life has deteriorated for people across the board in last three years of the conflict, people are becoming poorer, many have lost incomes and are reliant on casual labour or aid, many cannot afford to buy food, and face difficulties accessing food, water, health and education. Last week’s UN Group of Experts report shows a pattern of violations and potential war crimes committed against civilians by Saudi Arabia and the United Arab Emirates, and by the Houthis over the last three years, including a punishing air and naval blockade, attacks on residential areas, schools and medical facilities, and arbitrary arrests. 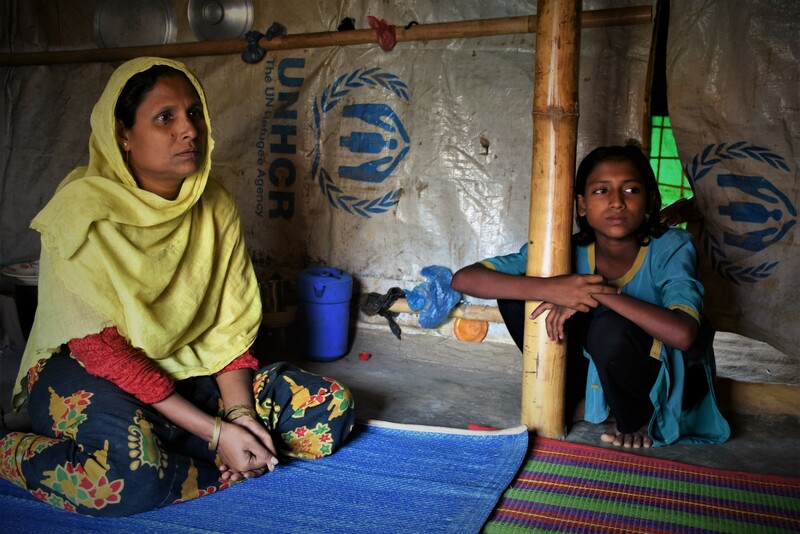 The international agency called for 15 per cent of new funding to be set aside for humanitarian programs designed to better support women and girls – including $72 million of the nearly half a billion dollars recently committed by the World Bank. 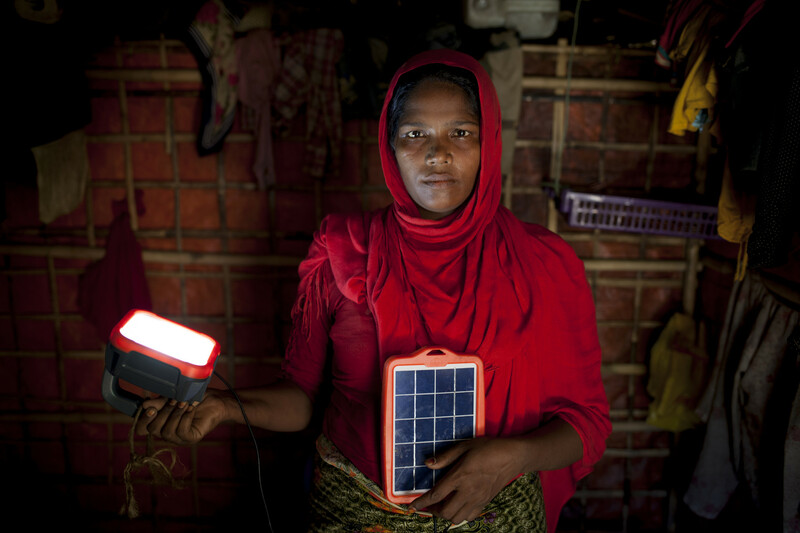 Currently, there is no standalone budget for meeting women’s specific needs in the overall emergency response. 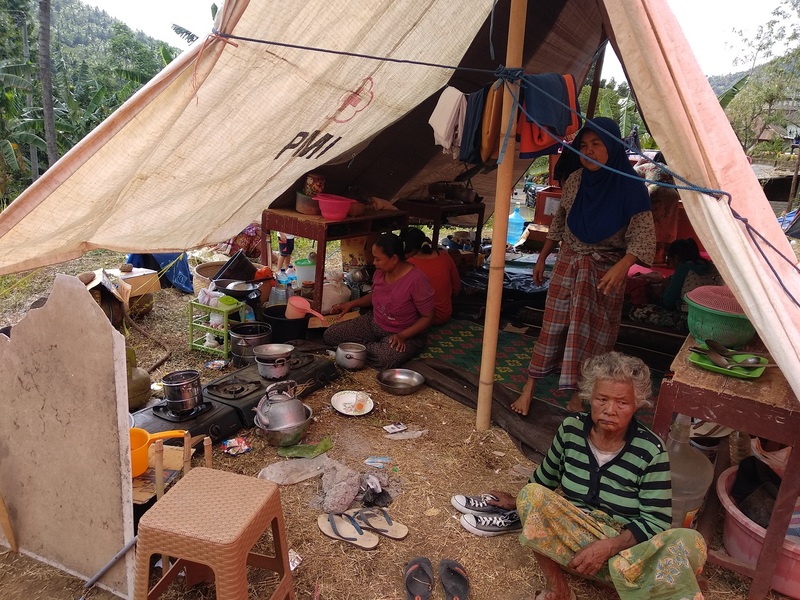 A third earthquake of 6-Richter magnitude which struck Lombok on Thursday (August 9th) has severely escalated the need for life-saving aid and has slowed down rescue efforts, Oxfam has warned. 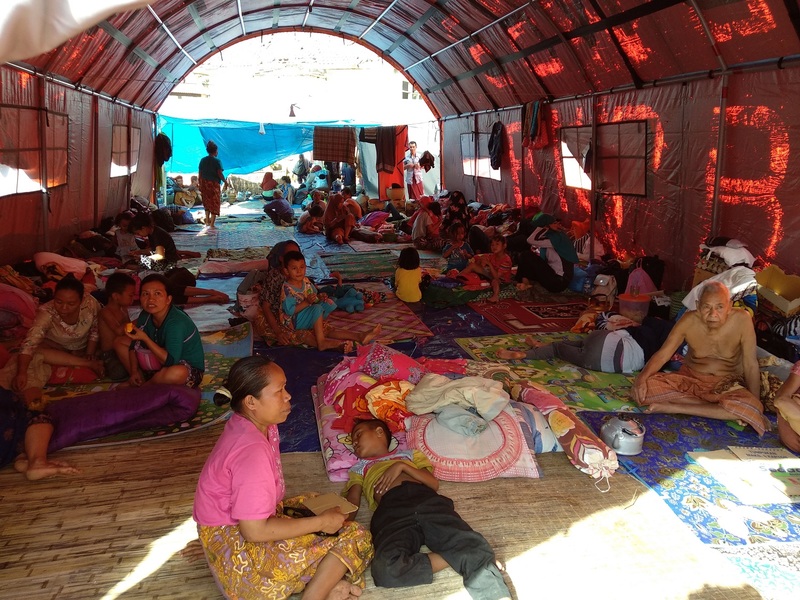 With the latest quake adding to the misery of tens of thousands people already in temporary shelters and under open skies, there is an increasing need for water, food, shelter, medical supplies, and other essentials. 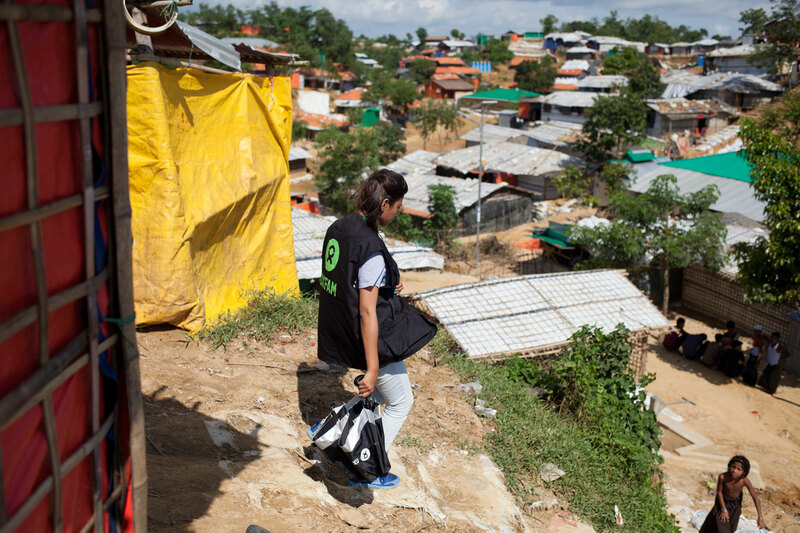 Local organisations supported by Oxfam have been on the ground since the first big quake hit more than a week ago and are assisting 5,000 people with clean drinking water, food, and tarpaulin sheets, with plans to increase the delivery of aid. 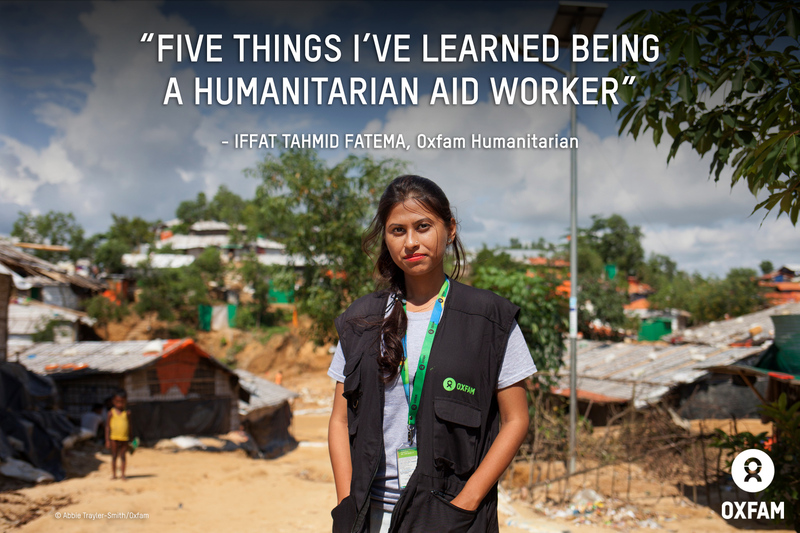 Meili Nart, Oxfam Project Manager based in Lombok, said: “The people here are severely traumatised. They’ve lost families or don’t know where they are. In many areas, four out of five buildings, roads, and other facilities have been destroyed. It’s a struggle to find water, food, electricity and other essentials. Monday’s 6.9 magnitude tremor, the largest so far, reportedly killed over 350 and destroyed the homes of over 150,000 people. Many caught in the rubble of collapsed buildings and in mudslides are still awaiting rescue. 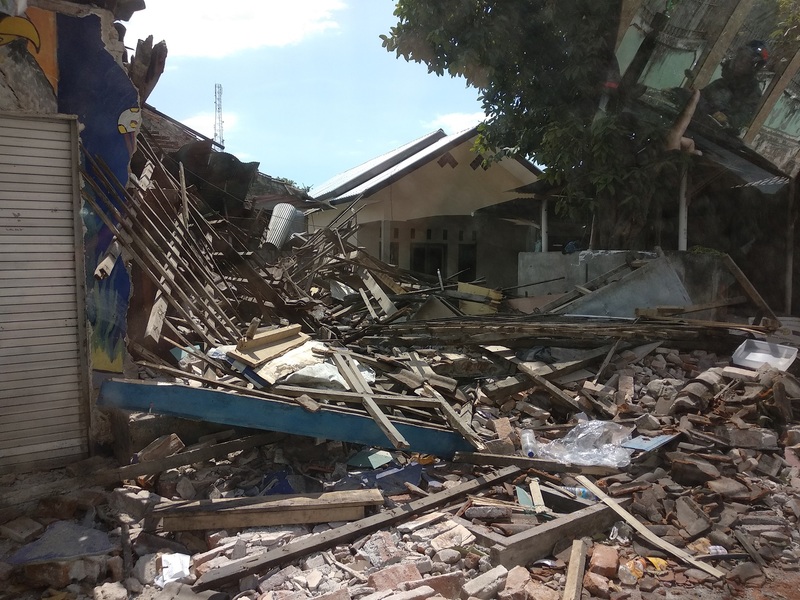 Before the latest quake, the Indonesian Agency for Disaster Mitigation said the death toll and damage could be higher with conditions making it extremely difficult to assess the devastation. Earlier reports suggested at least 600,000 had suffered from impact of the three big quakes and hundreds of tremors over the past two weeks. Oxfam has spokespeople available on the ground in Lombok, as well as in in Ireland, to discuss the humanitarian situation. Celebrate National Book Lovers Day with us! As well as Oxfam’s local shops throughout the island of Ireland selling donated books, we also have five dedicated Oxfam Books stores bursting with must-reads and covering all genres: Rathmines and Parliament Street in Dublin; Ann Street and Botanic Avenue in Belfast; and French Church Street in Cork. 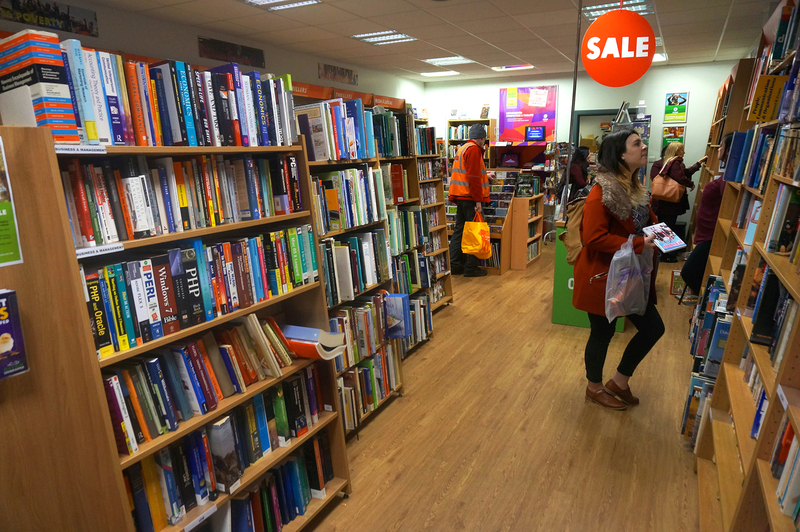 We hear from our retail team, who are ready to help you source a bargain from the varied range of book titles available while you are in-store. Book shops are special places and Oxfam is extra special, because every book donated and purchased in-store means a positive change in the life of someone who really needs it overseas. Oxfam shops are so familiar on our high streets that it's easy to forget how much good they do. By buying and donating books, CDs and DVDs and other goods, you are helping raise vital funds for Oxfam’s work from emergency responses to long-term development programmes. If you spend just €5/£5 on books in an Oxfam shop, Oxfam can provide a month’s food for two people affected by the present hunger crisis affecting millions of people in South Sudan, Yemen and Ethiopia; €25/£25 can help a family of six with food for two months. So on this National Book Lovers Day, take some time out and treat yourself, while helping others. Why not browse and buy in-store – or bring along some books to donate – to make a real difference by helping to raise funds for Oxfam’s life-saving work. You’ll be helping vulnerable people in poverty turn a new page in their lives. Like all the Oxfam Books stores, we have science and natural history, spirituality and philosophy, classical literature, Irish fiction, travel guides and travel writing, crime and thrillers, fantasy and horror, biographies, sport, health and medicine, non-fiction, gardening and cooking, along with children’s books, audio books, music books, drama, poetry and sheet music – plus lots more besides! To mark National Book Lovers Day, we have a special offer on fiction/novels, offering any two for €5.00, and that will run until Sunday. You’ll also find collectable and antiquarian books. Past donations include a book dating back to 1912 about the Titanic along with a Bible from 1587, the year that Mary Queen of Scots was beheaded. Call in and see what you might discover! We stock thousands of great quality second-hand books and music, with everything from Plato to Peppa Pig and from Nietzsche to New Order. Explore our wide-range of book genres and browse through our CDs, DVDs, classical sheet music and vinyl. We have a wide selection of page-turners. You’ll find fiction best-sellers, literary classics, sci-fi thrillers plus lots more! We also have a music collection and DVDs. Donations of all of these items are gratefully accepted. No matter what genre you’re into, there are plenty of great reads waiting to be discovered in-store. We have ‘a wee bit of everything’, from modern fiction to military history and lots more besides. There’s also the occasional first edition, rare book, collector’s item or signed copy. Come in and have a browse!